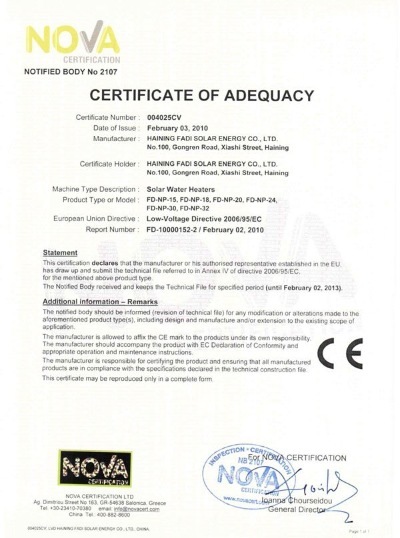 Company Overview - Haining Fadi Solar Energy Co., Ltd.
10YRSHaining Fadi Solar Energy Co., Ltd.
"Quality assurance and customer satisfaction" is our top belief. 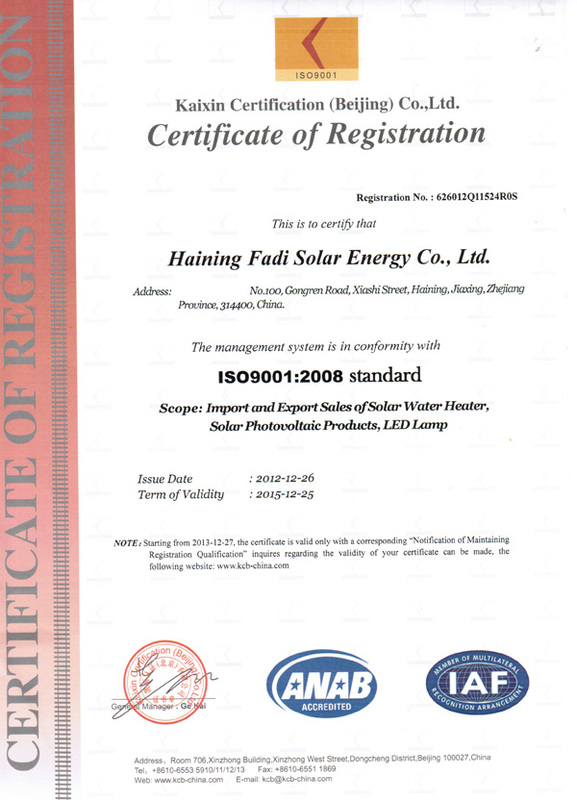 Haining Fadi Solar Energy Co., Ltd. is one of the most professional manufacturers producing energy conservation and environmentally-friendly products, we produce solar water heaters,wind turbine by ourselves,and sell some other energy saving products. 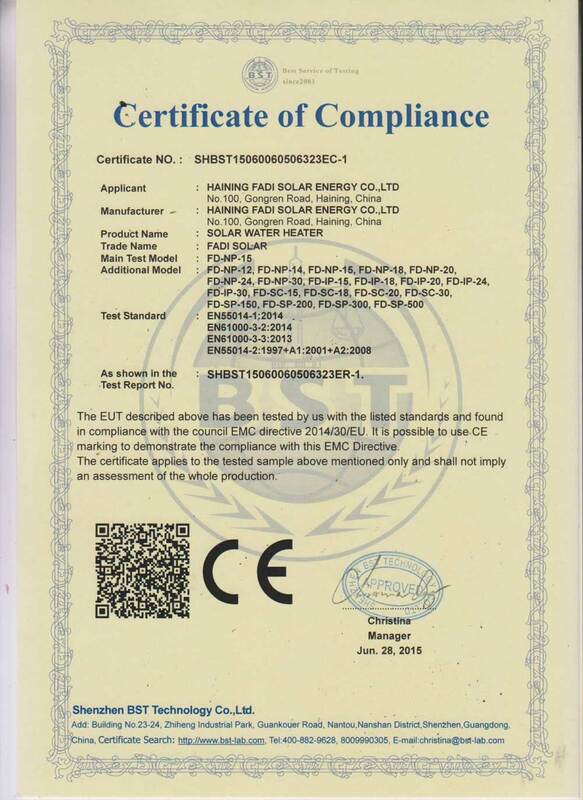 Through past several years' development, Fadi has developed into one of the biggest manufacture of solar water heaters in local market. We have precious experience in exporting our products to Southeast Asian, Australian, European and American markets. Our products are well-known greatly due to high quality and reasonable price. After more than several years' promotion and service in the world market, our products are enjoying great market share in the field.To provide our customers with more considerate service, Fadi has modernized our production equipment, and enhanced production technology and management mode. To form designing, producing, quality checking, and selling as an organic whole, from quality control of the purchase of raw materials and feedback of after-sales service, we have introduced TQM and other advanced production methods to ensure the interest of our customers.The 21st century is the era of knowledge economy, full of the fierce competitions of technology and managing mode. Meanwhile, we can tell that there are also so many opportunities to get mutual benefits. 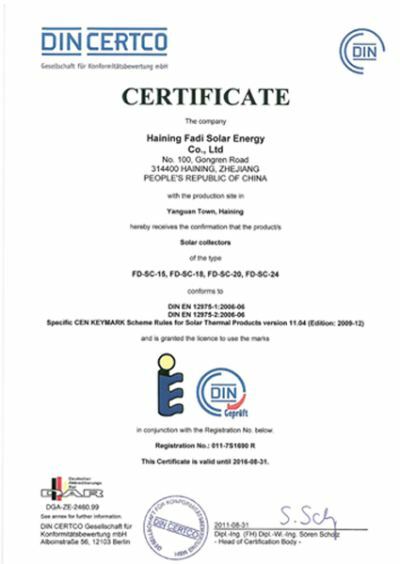 We welcome domestic and overseas friends to cooperate cordially with Fadi Solar Energy Co., Ltd. We believe with our best efforts, we can create the prosperity and development for both of our business.